Today I’ll be reviewing the Secret Key Starting Treatment Essence Rose Edition. This was the second essence I purchased (after the Manyo Factory one) in an attempt to find a dupe for the SK-II Facial Treatment Essence. With the same watery consistency as SK-II and high percentage of galactomyces ferment filtrate, the Secret Key essence was the most promising dupe yet! 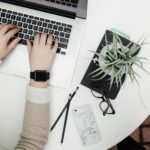 Galactomyces ferment filtrate is my favorite of the five main Asian beauty skincare ingredients I use. This fermented yeast is found in Japan’s luxury SK-II line and known for its brightening and anti-aging effects. 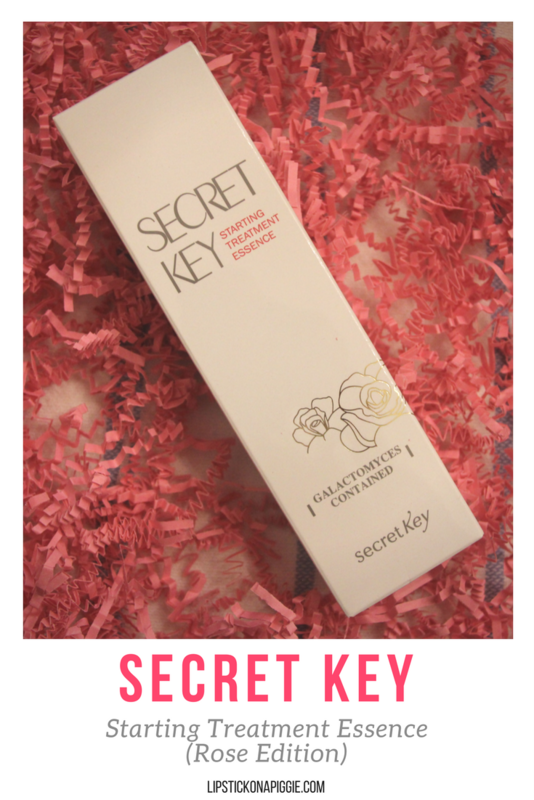 The Secret Key Starting Treatment Essence Rose Edition contains 94% galactomyces ferment filtrate. In comparison, SK-II’s Facial Treatment Essence contains 90% galactomyces ferment filtrate (also known to them as Pitera). A nice addition to this product is niacinamide, a form of vitamin B3 that has been shown to reduce pore size, treat acne, brighten skin, and improve skin texture. Niacinamide is not an ingredient in the SK-II essence. The Secret Key Starting Treatment Essence Rose Edition comes in a gorgeous cylindrical glass bottle with a gold screw-on cap (to differentiate it from the non-Rose Edition version). 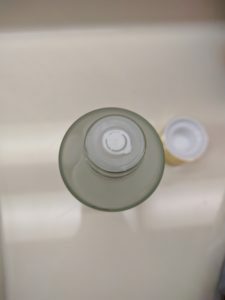 The opening of the bottle has a rubber stopper to keep the liquid from spilling during transport. While pretty to look at, the bottle design is actually quite clunky. I eventually got tired of having to unscrew the cap and remove the rubber stopper twice a day, so I decanted some essence into a travel sized spray bottle and refilled as needed. The product itself is clear and has a thin watery consistency – definitely thinner than the Manyo Factory essence. In fact, I’d go as far to say that this essence has the exact same consistency as the SK-II essence. If you put the Secret Key and SK-II essences in unmarked bottles in front of me, I wouldn’t be able to tell the difference. Due to its water-like consistency, I use Secret Key Starting Treatment Essence Rose Edition as the first step after washing my face and using products with active ingredients. Initially, I would put a few drops in my hand and apply directly to my face. Eventually, I simply used a travel spritzer bottle to spray my whole face. Thanks to its lower price point, I wasn’t as worried about losing precious drops of essence as I would with SK-II. I’d describe this essence as a neutral product in that it absorbed into my skin without drying it out or leaving an oily residue. It also didn’t interact with or alter the consistences of subsequent products I applied to my face. This product didn’t cause me to break out, nor did it cause increased oiliness or drying. After a few weeks of use, my acne scars looked noticeably lighter and my face slightly brighter. I also began to get comments from my coworkers asking me what I was using on my face. After running out of the Secret Key Starting Treatment Essence Rose Edition, I switched over to the SK-II First Treatment Essence using samples I collected from several Sephora visits. After a month of use, I noticed no major difference in my skin. If you’re looking for a miracle product that will make your skin perfect overnight, then this product isn’t for you. However, if you’re looking for an anti-aging product that brightens and fades old scars, then this essence is certainly worth a try. Of the galactomyces ferment filtrate essences I’ve tried so far, this one is by far my favorite. 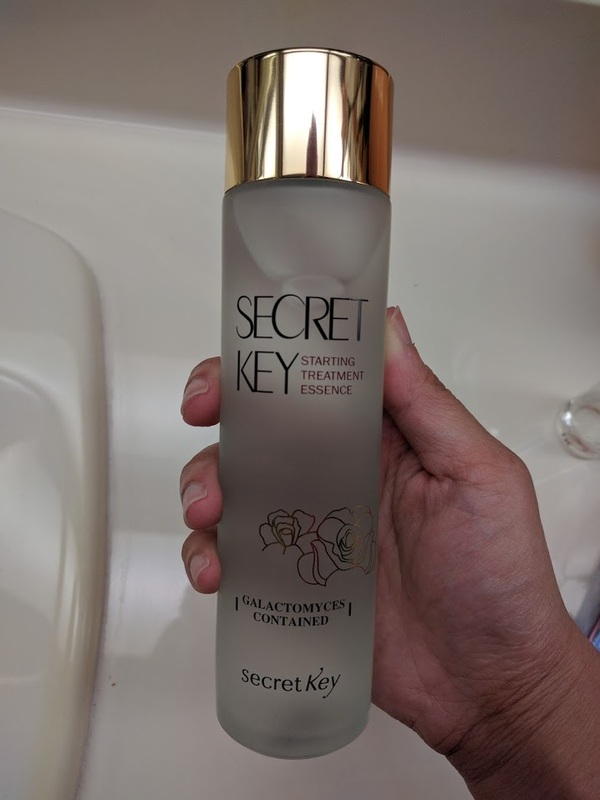 The Secret Key Starting Treatment Essence Rose Edition is light, works well with other products, and is essentially a dupe of a product that costs much, much more! In the next few months, I plan on testing a few more ferment filtrate products, including the popular MISSHA Time Revolution First Treatment Essence. I’ll make sure to report back on my findings!